In the wake of a primetime news report alleging that some flooring sold by Lumber Liquidators contained excessive amounts of formaldehyde, federal regulators at the U.S. Consumer Product Safety Commission have confirmed the agency is investigation the lumber company. In a statement, CPSC Chair Elliot Kaye says the agency is “actively investigating laminate flooring products from Lumber Liquidators,” and that the company has thus far been cooperative. Formaldehyde is commonly and safely used in the manufacture of laminated wood flooring, but it has to be used sparingly so that the chemical dissipates quickly. If an excess of formaldehyde is used, it can remain in the laminated wood and gradually be emitted over time. Prolonged, continued exposure to formaldehyde has been linked to numerous health problems ranging from nausea to increased cancer risk. Children are more susceptible than adults to the toxic effects of formaldehyde. A recent report on CBS’ 60 Minutes claimed that the laminated wood Lumber Liquidated sourced from suppliers in China contained more formaldehyde than its domestically sourced laminates and similar products sold by competitor. One sample allegedly contained so much formaldehyde that the lab equipment could not measure it. Kaye said that while this is an important investigation, a quick conclusion is not in the cards. 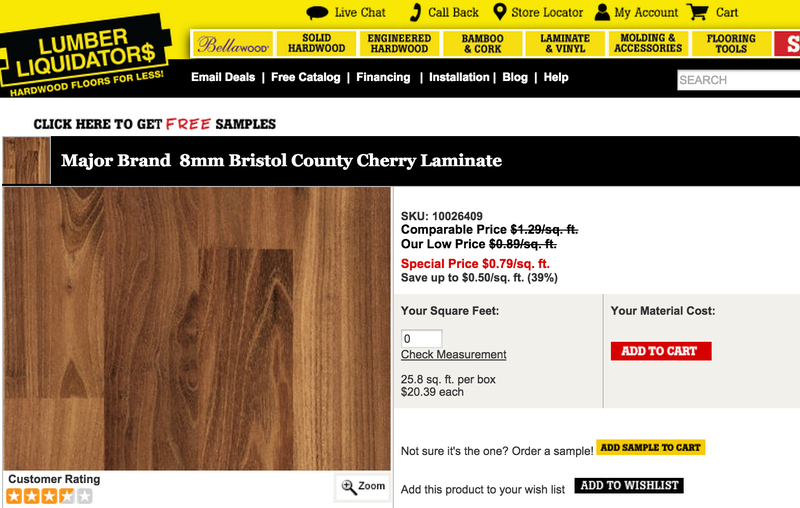 Lumber Liquidators continues to defend its products, saying that the testing process used in the CBS report is flawed. The company was recently sued by a family in California, alleging that the company misled consumers in that state with labels declaring that flooring complied with California’s strict formaldehyde emission standards. The plaintiffs in the case are seeking class action status to include other Californians who purchased Lumber Liquidators flooring.